Bangkok to Khao Lak - Should you go by Flight, Bus, Van or Taxi? Although Khao Lak is not too far in distance from the infamous Phuket, these two destinations are a world away when it comes to their ambiance. 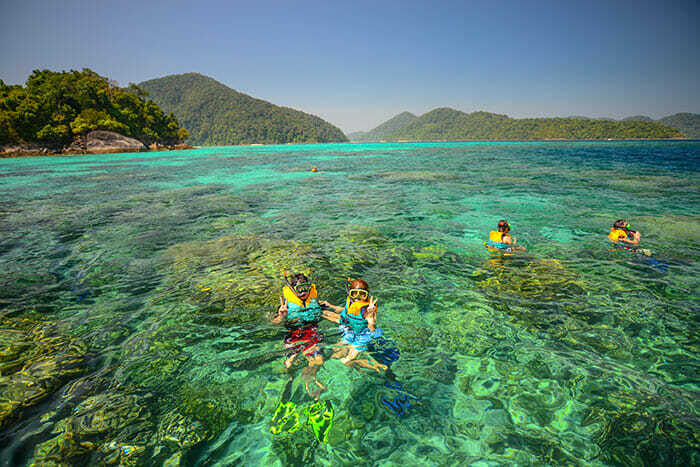 Tourists looking for a quiet reprieve from the bustling streets and noise of Bangkok should head to Khao Lak for peace and quiet and an amazing dose of natural beauty. This series of coastal villages and beaches stretches for around 20 kilometers (12.5 miles) along the Andaman Sea of Southern Thailand, and is known as a place of relaxation for travelers, especially families, who want the beaches but not the hustle and bustle of Phuket. Take a trip from Bangkok to Khao Lak and experience it for yourself! Options from Bangkok to Khao Lak? It is almost 800 kilometers (approximately 480 miles) from Bangkok to Khao Lak so getting to this beautiful stretch of coastline is not the fastest journey you will ever take. Having said that, there are several different options available to you when it comes to traveling from the capital city and, as always, which one you choose will depend upon your schedule and your budget. 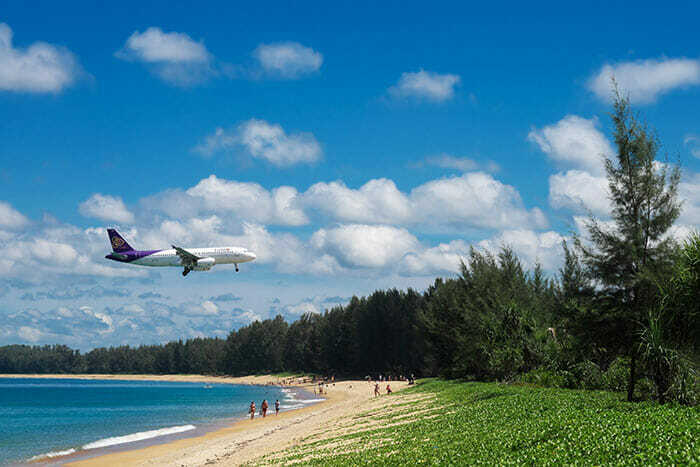 Khao Lak does not have its own airport, but being only about 82 kilometers (51 miles) north of Phuket means that you can use Phuket Airport as a way of getting here. Your only other option is to travel by road, either by private car, taxi, van, or bus. Read on to find out more about all of these different options. As mentioned above, Khao Lak does not have its own airport, but Phuket International Airport is within easy reach. A transfer from Phuket to Khao Lak will take a little time, but still, compared to driving all the way to Khao Lak from Bangkok, you will be saving plenty of time. A major advantage with flying is the speed, of course, and the fact that there are somewhere in the region of 50 different flights per day flying that route. In terms of flexibility then, a flight is great for fitting around your schedule, especially if you’re pushed for time and just want to get on with your vacation! You also have the flexibility of choosing to fly from either of the Bangkok airports, Don Mueang or Suvarnabhumi. With so many airlines to choose from (including Thai AirAsia, Bangkok Airways, Thai Smile, Nok Air, and Thai Lion Mentari) you should be able to shop around for a reasonably priced ticket, and will usually save more the further in advance you book. 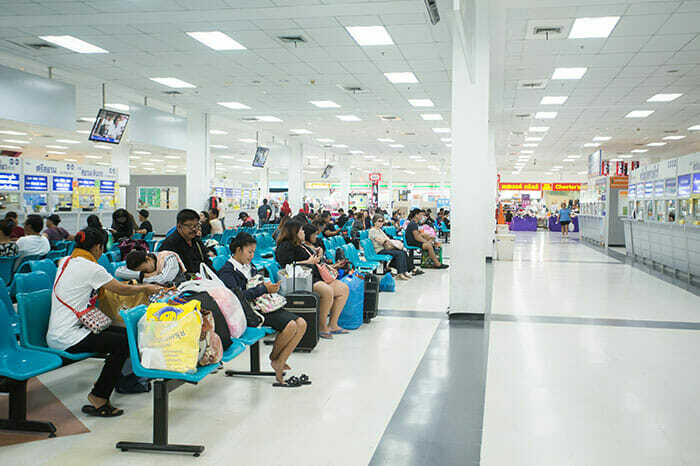 Once you have arrived at Phuket International Airport, you can get a direct transfer to Khao Lak without having to travel into Phuket itself first. Private taxis and vans travel this route with operators such as Chill Transfers and Ground Business, and the journey time should be somewhere between 1 hour 45 minutes to 2.5 hours. Add this to the roughly 1 hour 20-minute flight time, and this is definitely the fastest way to get from Bangkok to Khao Lak. On the downside, it is more expensive than a regular bus. If you’d rather save some money and get to see the passing scenery as you travel from Bangkok to Khao Lak, traveling by bus is a great option. Several different bus companies offer this route, departing from a couple of different points in Bangkok. Transport Co STM leaves from the Southern Bus Terminal, using a VIP style bus with air conditioning, snacks, steward service, TV, and washrooms onboard. This service takes around 13.5 hours. Another operator is Jolly Travel departing from their Khao San Road office. This bus is not quite as well equipped, but does have air conditioning and washrooms onboard, and the scheduled time is a little longer at 15.5 hours. Travel by van from Bangkok to Khao Lak is another option. Tara Tour and Travel offer a van service from their offices which are close to Khao San Road. Being a van there are no facilities onboard, but you do get to enjoy air conditioning and a slighter faster travel time of around 13 hours. All of the above options arrive at Khao Lak Bus Station which is within walking distance of the coastal resorts and beaches, and, all of these options travel overnight. This gives you the advantage of possibly being able to sleep on the bus, but, traveling overnight means that you won’t actually get to see too much of the passing scenery. When traveling by road appeals by you want to get to Khao Lak a little faster, taxis are a good option. 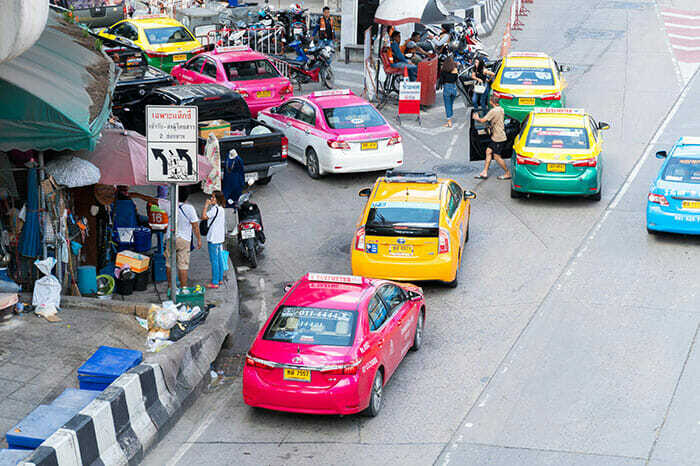 The drawback with a taxi is the cost – this is easily the most expensive way to get from Bangkok to Khao Lak, but it does offer flexibility of picking you up from your Bangkok hotel and dropping you at the door of your hotel in Khao Lak, departing at whatever time suits you. PGS offer two types of taxi service, a comfort car, and a 9-passenger van. The van is more expensive than the car, but this is a very good option if you’re traveling with a group or a large family. When you split the cost between 9 people it is still more expensive for each person than the bus, but not restrictively so. So, when you consider the flexibility of this option, the faster speed, and the fact that you would have a large van just for your group, this is a good option. So, those are the different options for traveling from Bangkok to Khao Lak. Which way will you choose to go?